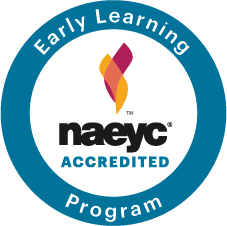 La Escuelita has several programs that complement our preschool. All incorporate Spanish language instruction and provide opportunities for children to socialize, practice age-appropriate skills, and develop their linguistic talents. Our Spanish language enrichment groups offer the first point of entry to our community. Taught in Spanish by one of our preschool teachers, playgroups offer dual language support to families, allowing parents to get to know the school and the staff while having the children socialize with other children. Children from 1 to 4-years-old are exposed to a wide variety of vocabulary and concepts through song and dance, art projects, books, and circle time. Children attend with their caregiver, who will learn easy strategies for reinforcing the child's language in both English and Spanish during daily activities. For example, key Spanish vocabulary will be taught for use at home. English speaking, Spanish speaking, bilingual and multilingual families are welcome. These Spanish language enrichment playgroups meet weekly throughout the Fall, Spring and Summer. Playgroups are limited to 10 children. Families are encouraged to sign up for as many as they can to provide an introduction to Spanish. Additionally, we now have special classes that focus solely on Music and Movement with our talented Cuban music teacher Mariang! Unsure if Playgroups or Music and Movement Classes are for you? Drop in rate is $25 per class, space permitting. Please email Diana.Rivera@LaEscuelitaNYC.org in advance to check availability for drop-in. Click here to register for Spring 2019 Playgroups or Music and Movement Classes. Please also fill in the attached application and email it to Diana.Rivera@LaEscuelitaNYC.org. The Afterschool Program provides school aged children a chance to reinforce and practice Spanish while participating in interactive content area classes. All students aged 4-8 years old with previous knowledge of Spanish are invited to participate. 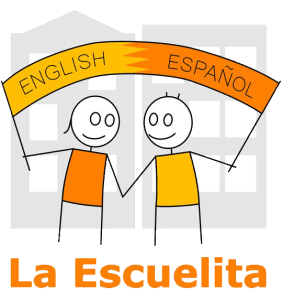 While La Escuelita students and graduates make up the majority of participants, the Afterschool Program is popular with Upper West Side public school Dual Language students as well as other families seeking to supplement their children’s Spanish language instruction. All classes are mixed age groups, giving the younger children an opportunity to learn from their peers while instilling confidence and leadership in the older students. Parents may drop off as early at 3:30PM from Tuesdays and Wednesdays for homework and free play, but the classes start at 4:00PM-5PM. Classes run for approximately 15-week semesters in the fall and spring, and are taught by La Escuelita teachers as well as outside staff. To register online, please Click HERE. To register via our office, please click HERE to download our pdf. Please fill out the application and return to our office along with cash, check or credit card. La Escuelita offers a full immersion Summer Program for children 3 to 5 years old. Conducted exclusively in Spanish with expanded outdoor time, our Summer Program is a more relaxed setting than our Preschool, while still keeping our children engaged and actively learning. Groups are led by at least one Head Teacher and one Assistant Teacher, typically La Escuelita staff. In addition, children may see Spanish modeled by Junior Counselors. A new program first offered during summer 2015 to our graduates, Volunteer Junior Counselors assist teachers in all activities while serving as great examples of Spanish fluency to the younger children. Our 2019 Summer Program will run from July 8th - July 26th from 9AM-12PM. The application will be live by Wednesday February 13, 2019. Families will be notified of acceptance by Friday March 29, 2019. Admission priority will go to current and returning La Escuelita Families and families who commit to all three weeks. Payment in full is due immediately upon acceptance to the program. To accommodate parents, La Escuelita offers early drop-off for our Preschool students. Beginning at 8:15am, students may start their day in one of the classrooms, with free play supervised by one or two of our teachers. Early drop-off can be used on a regular basis, or as needed. Early Drop-Off begins Thursday, September 20, 2018 and runs through Thursday, June 20, 2019. You may prepay online by credit card or in the office by check or credit card. There are no refunds for unused days.